Many joint use departments simply do not have the resources to do it all: business as usual, regulatory compliance, requests to attach and transfer along with offering support for the growth of the business. While this situation is not new, the options for getting help with infrastructure asset management have evolved exponentially. 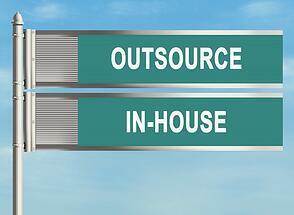 No longer do joint use departments have just two choices—in-house or straight outsourcing. Today, overtaxed companies can pick their personal mix of infrastructure asset management services, from a little help to a lot. Not every joint use department needs additional manpower all the time. Previously, hiring more full or part-time staff—a serious commitment in both time and money—was the only option. Today, however, a versatile, experienced managed services provider can come in, staff up, get things done, and then move on, just once or as often as needed. A partner can also provide back-office or field asset management staff (or both). This option can be beneficial to companies that are facing short bursts of growth or that need to quickly clear backlogs but are not expecting long-term increases in activity. Choose a partner that focuses tightly on joint use for seamless integration into your day-to-day processes. If reducing overall workload for overtaxed staff or freeing up team members to focus on other tasks long-term is your goal, consider outsourcing your joint use tasks on a more permanent basis. Experienced managed service providers can be engaged for relationships of any length, from weeks to months to years. This arrangement can be great for any utility pole owner, but might be particularly beneficial to smaller co-ops and municipalities or telecommunications companies that share resources and staff. Rather than hiring ¼ of a person for a single office, small joint use operations can band together, securing the services of an infrastructure asset management expert to split time between several locations, reducing costs and effectively filling the void. Outsourcing can have a bit of a double meaning. In some instances, it can mean sending joint use tasks to be performed entirely by an outside entity. In others, it can mean augmenting an already operating department with additional expert staff. Regardless of the logistics, hiring a managed services provider to supplement a company’s people power can be a boost to overall productivity in the long or short term. Whether in the field or in the back office, this model can mean everything from adding one or two outside team members here and there to contracting a partner to act on the company’s behalf and completely run their joint use department's day to day operations. On the other side of the managed services coin is the ability of joint use departments to get process and data processing help to streamline operations rather than put more staff toward the work. Tools like integrated, online joint use management software for better communication with partners and more actionable data; connected field asset management devices for data collection; and process improvements that create efficiencies that are a cost-effective and less commitment-laden choice for joint use departments that want productivity but not more bodies in the office.